Japan Display Co., Ltd. (President: Shuuji Aruga), has today announced the decision to increase LCD glass panel production capacity at its Tottori Plant, scheduled to begin November 2017, and, in addition, to build a new automated assembly line there for prototypes and process development of advanced LCD modules, scheduled to begin April 2017. The automotive display market is expected to maintain a high growth rate of approximately 10% per year, higher than the growth rate of the automotive vehicle market, primarily due to the increasing number of displays installed per vehicle, which is attributable to the desire for information and content as well as the expansion of autonomous driving and the emerging EV market. * JDI's Automotive Display Division is striving to increase its automotive market share and is aiming to reach automotive sales approximately three times greater in fiscal year 2021 than in fiscal year 2016. 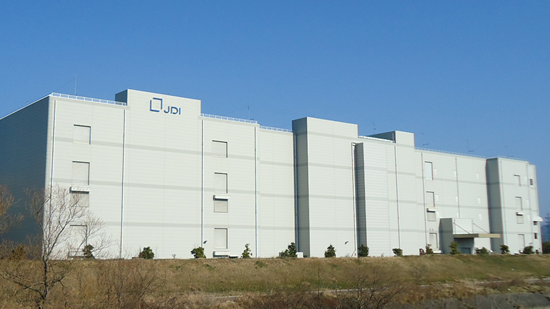 In order to respond to the growing market, JDI will expand output of its Tottori Plant, JDI's largest production base for automotive LCDs, by 12%. Furthermore, by establishing a new automated module assembly line within the same premises as LCD glass panel fabrication, JDI's product development efficiency and its ability to respond promptly to diversifying customers' demands will be greatly improved. Lastly, JDI is committed to continuously offering and promoting high performance, highly reliable LCDs that meet the requirements for cutting-edge automotive displays, such as design flexibility, low power consumption and high-speed response, and supplying them to the global market.